I was fortunate to get this on sale and bought three bottles of Creed Royal Water. I have been blessed to have fragrances from all over the world and this is a brisk splash of cold water in the morning. It is not an understated fragrance with its citrus tones of mandarin orange and undertones of musky zest. ONE SPRITZ on your wrist will allow you to move this fragrance to all of your other pulsating areas. It will last all day long and activate well and mellows as the day goes on. Do not be put off by the price as one spray for the day will do the trick. I was fortunate to get this on sale and bought three bottles of Creed Mountain Water. I have been blessed to have fragrances from all over the world and this is a brisk splash of cold water in the morning. It is not an understated fragrance with its citrus tones of mandarin orange and undertones of musky zest. ONE SPRITZ on your wrist will allow you to move this fragrance to all of your other pulsating areas. It will last all day long and activate well and mellows as the day goes on. Do not be put off by the price as one spray for the day will do the trick. Quality tells! This light but lasting cologne hits all the right spots in what one could wish in a mans perfume. It is not overwhelming when first applied and the essence stays with one for at least 8 hours (or more!). It is recommended for evening, but I wear it all day just because I can. 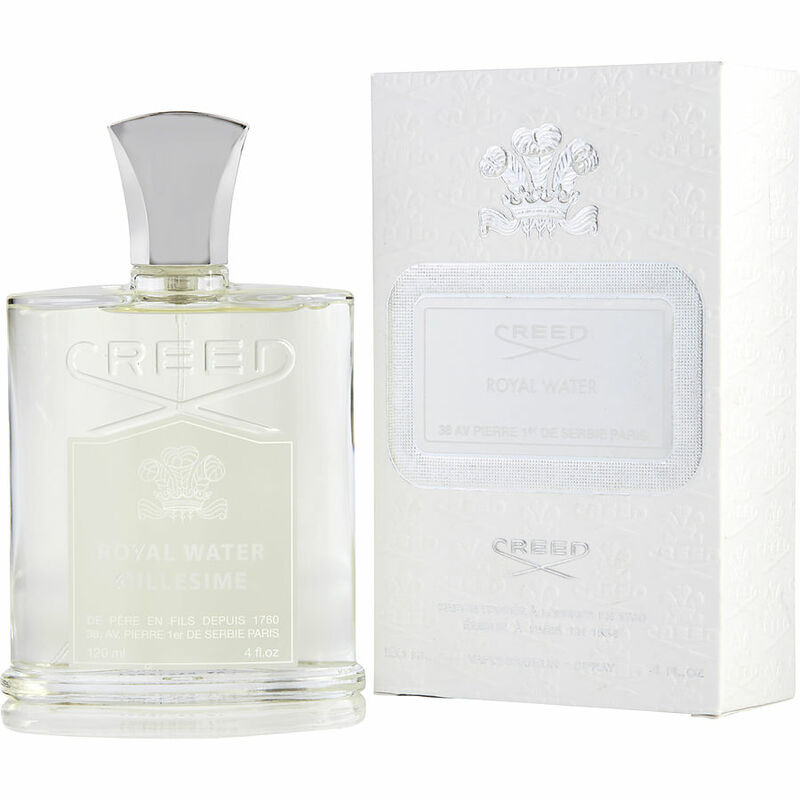 I love smelling my wrist at the end of the day and still getting the magic of Creed Royal Water.